The Dreammachine 2, Virtual hybrid synth from HG Fortune. H.G. 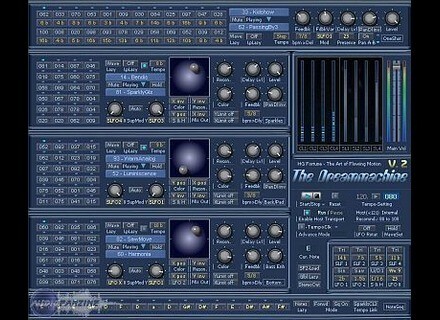 Fortune has updated The Dreammachine to version 2.2. It features Smooth AR at the Note Seq, to set an Attack and Release at note change. The controls have been reworked twith an adaptation of the X/Y SuperModulation of the STS-33 "in order to have a more efficient and even deeper control," according to H.G. Fortune. 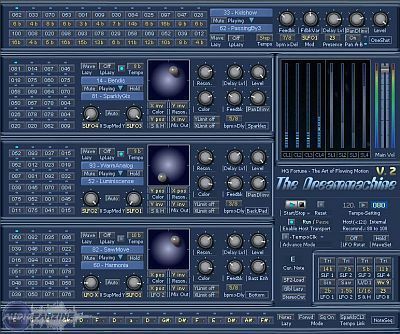 The Dreammachine Pro is available now for 99Euro and comes with a new OneShot sf2 file, while the free version will remain in its current state of prior version 2.d. IK Multimedia AmpliTube Fender IK Multimedia and Fender Musical Instruments Corporation have announced that AmpliTube Fender is now shipping. Masterwriter v2 Masterwriter, the software suite of tools for songwriters, has released its version 2. LinPlug Lambik Loops LinPlug has also announced the release of Lambik Loops, an add-on for RMV.